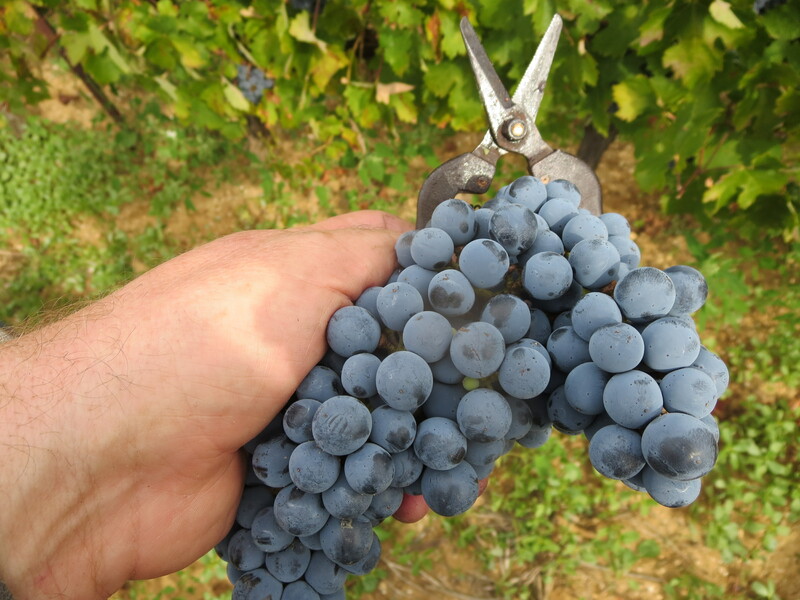 I wrote in my last post how, whilst some vineyards in the area were showing plenty of leaves and buds were opening, those of Mas Coutelou were more reticent. 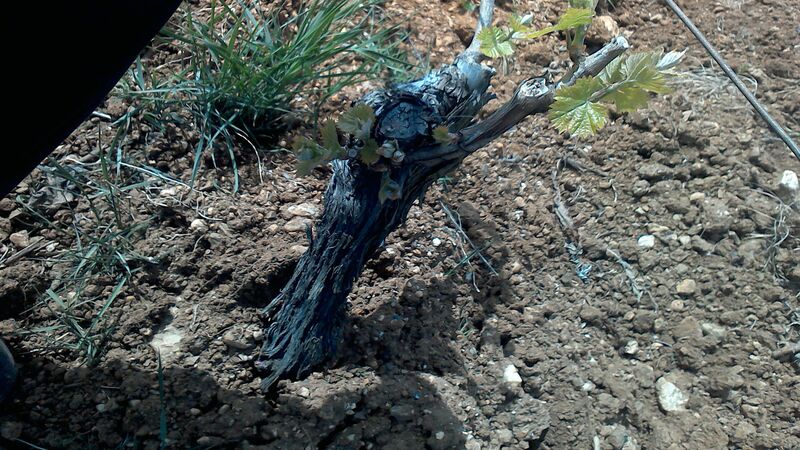 Well a visit to Peilhan and La Garrigue vineyards today showed that spring has arrived. Buds are opening, leaves are forming. Even the snails were heading for the foliage, this one had its photo taken and then was removed. What struck me though was the variation in development of the vines. Some were still dormant, others were showing leaves, most were in between with buds just opening. 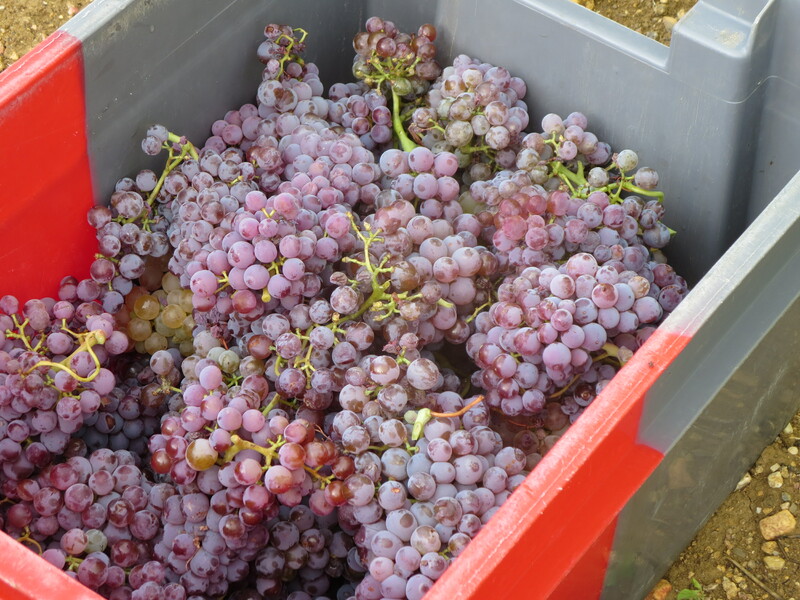 This is partly due to the cépage as some are more precocious than others, often white varieties. 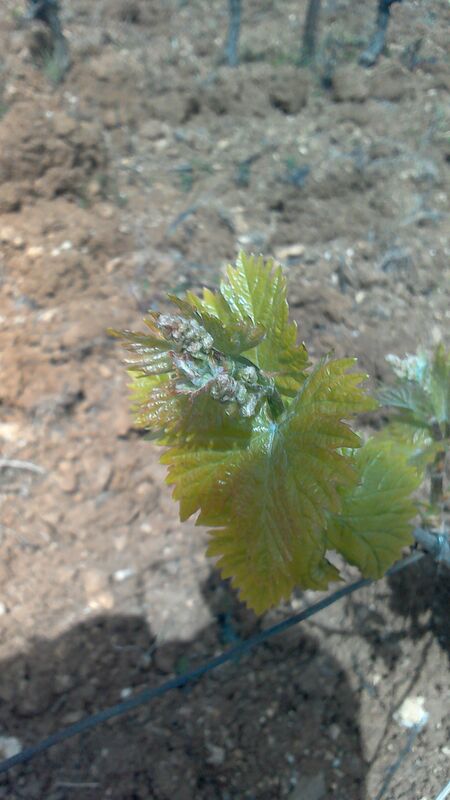 The photo above shows a Sauvignon Blanc vine and as you can see it has leaves which are well developed but also flowers already out. Yet vines in the next row were still hardly budding. 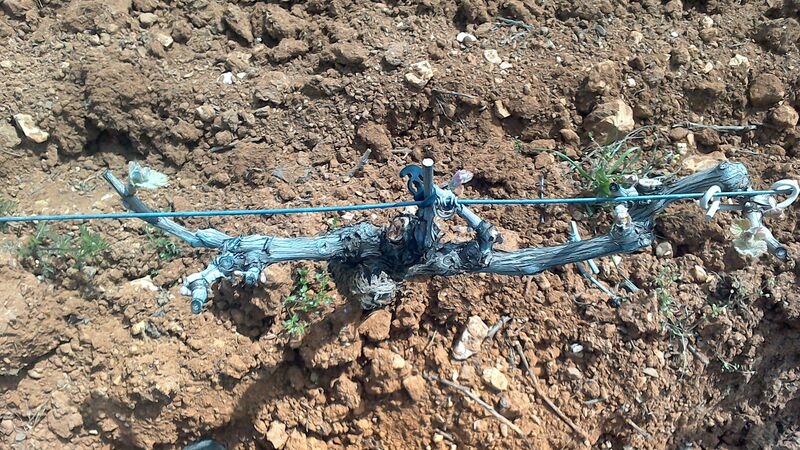 This was a clear example of how the position of the vine makes a difference, the vine above was on the side of the vineyard (La Garrigue) facing south west, therefore in full sunshine more than other vines. Indeed I was taken aback to see this. 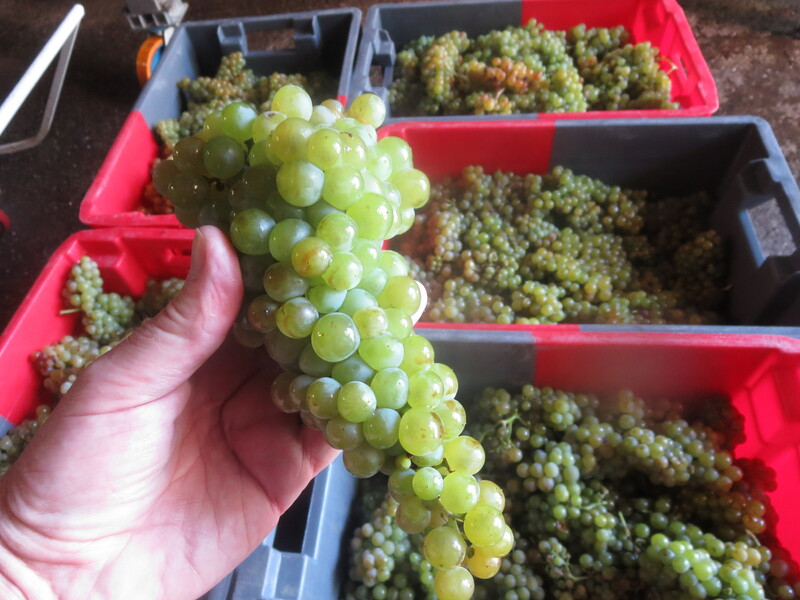 In the centre of the leaf you will see the formation of a grappe, the future bunch of grapes. 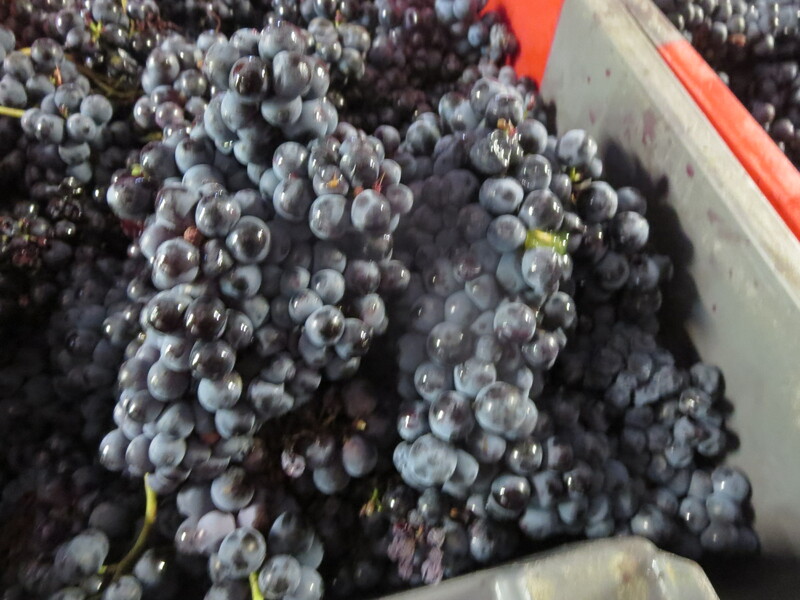 Whilst other vines are still asleep! 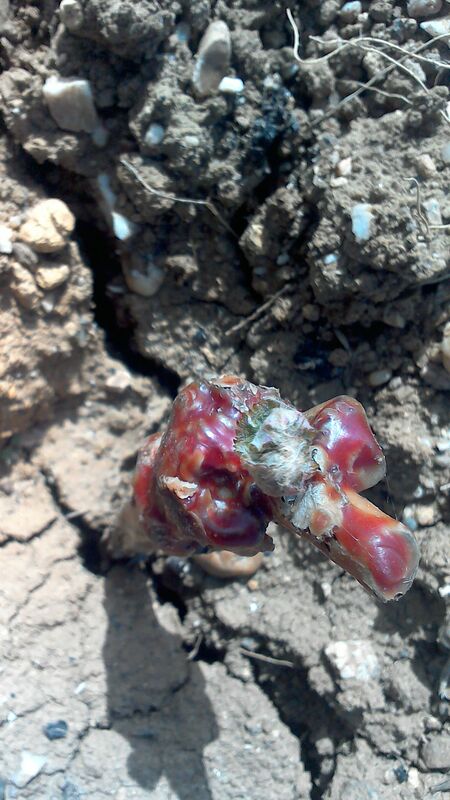 In the new plantation at Peilhan the wax protection on some of the vines is giving way as these babies begin to grow. 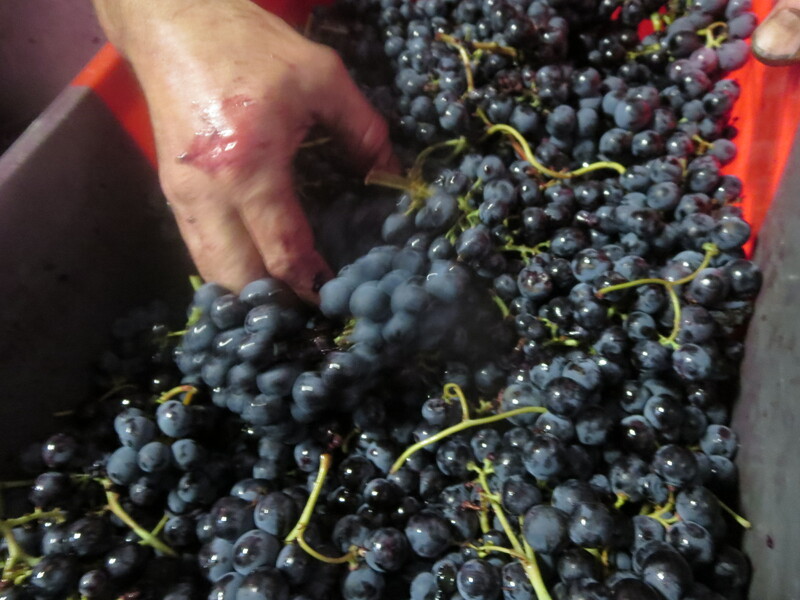 Though of course they are many years from providing grapes for wine, it was quite something to see them begin their life. 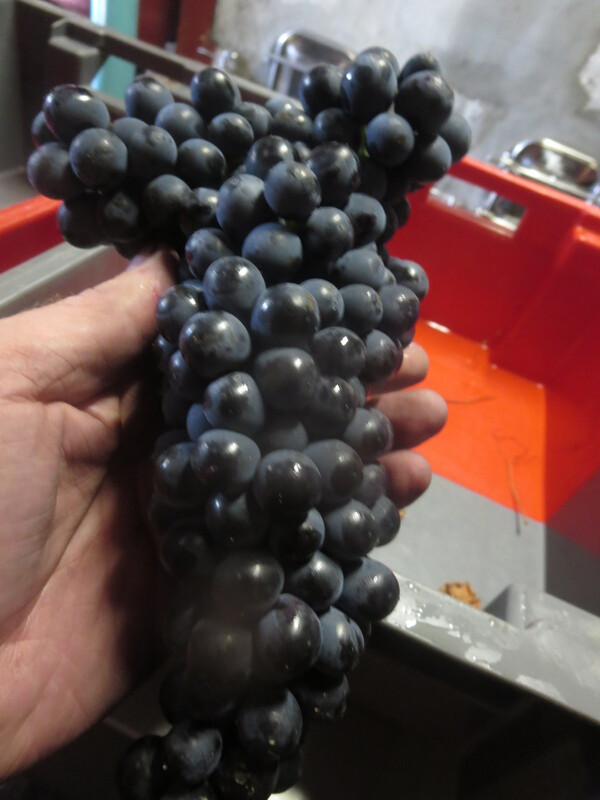 This was a Ribeyrenc Gris vine. The region has had a relatively cool Spring by all accounts (though those of us used to NE England might be surprised to hear it). It has been dry and sunny but strong winds for many weeks have kept down temperatures and dried the soil quickly. 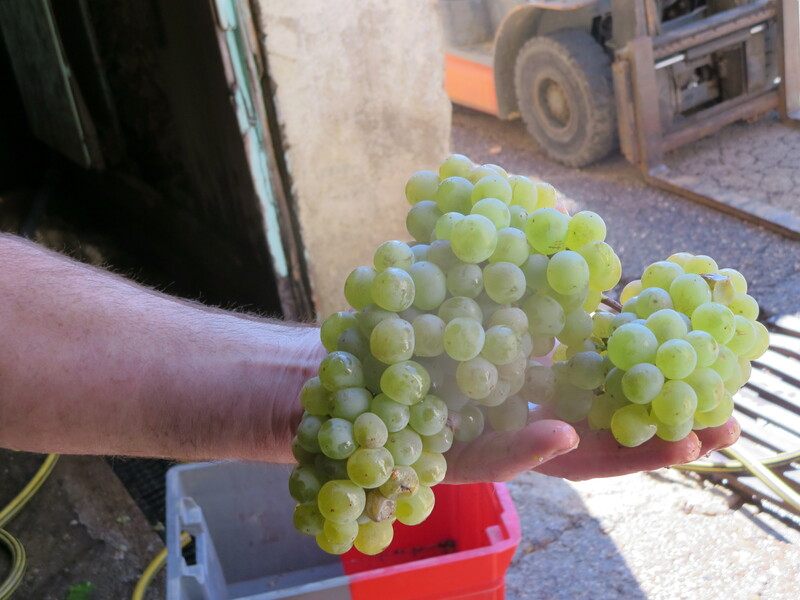 This helps to explain why the vines have been slow to start their growth this year. Moreover, the local newspaper, Midi Libre, today carried a warning story. 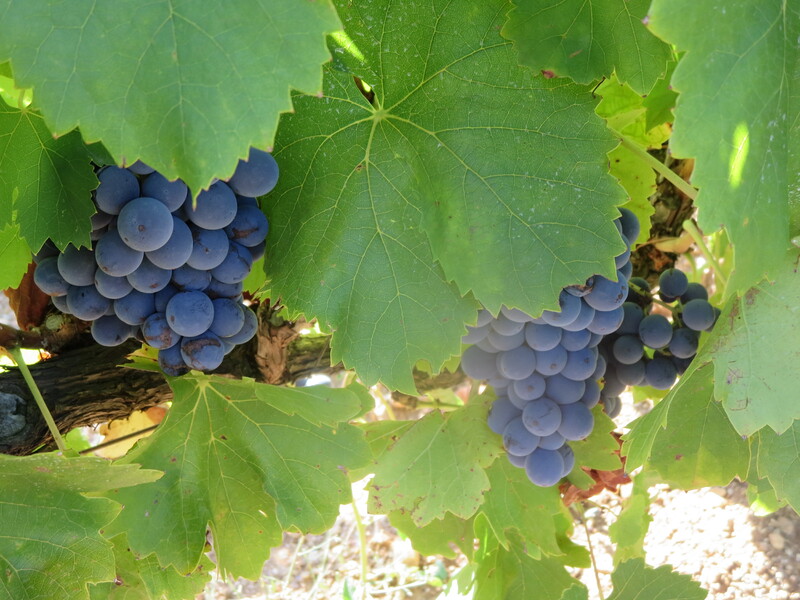 In the Aude, western Languedoc, Monday and Tuesday brought frosts at night which have damaged many vines which had begun their growth. 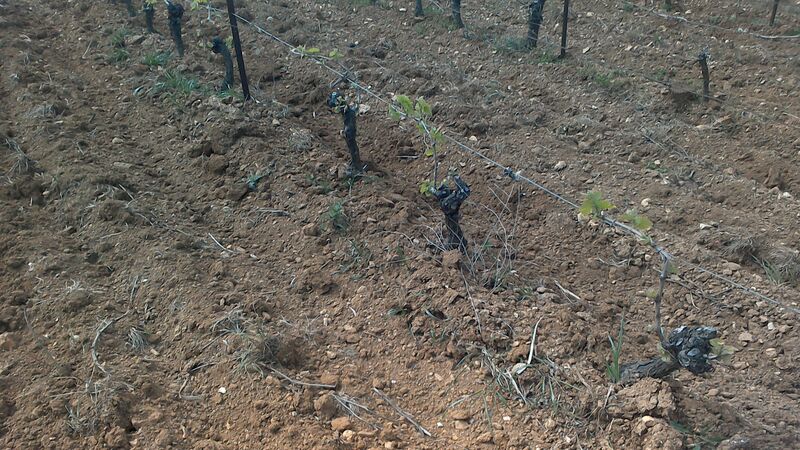 This is the risk which vignerons face and why they remain nervous about the weather. Traditionally mid May is the time when the risk of frost is past, the saints de glace as those days are known. So fingers crossed, some warm nights and a bit of rain would be very welcome.